Sri Lanka has scored yet another diplomatic success at the UN Human Rights Council UPR Sessions in Geneva which conducted the Universal Periodic Review for Sri Lanka on November 15, 2017. “Universal Periodic Review [UPR] is a unique process which involves a review of the human rights records of all UN member states. This is one of the key elements of the Council which reminds states of their responsibility to fully respect and implement all human rights and fundamental freedoms”. [Wikipedia]. UPR aims at improving the human rights situation on the ground of each of the 193 UN member states. The working group of the UPR is composed of all 47 Human Rights Council’s member states and chaired by HRC President during the reviews. 1 – A 20 Page National Report prepared by states under review. 2 – A 10 page compilation of UN information prepared by OHCHR including the UN Special Procedure Reports, UN Documentation and Human Rights Treaty Body Reports. 3 – A 10 page summary of information received from stakeholders including NGO’s national human rights institutions and other civil society actors and prepared by OHCHR. Once the recommendations of the UNHRC are adopted, a concerned state under review is given a preliminary opportunity to indicate whether it supports the recommendations, which does not mean acceptance of same. For Sri Lanka, the Council made a total of 230 recommendations for its consideration and endorsement. Out of this total, 177 recommendations were examined by Sri Lanka and enjoyed the support of Sri Lanka, while 53 recommendations were examined by Sri Lanka and only noted. In addition, Sri Lanka made twenty voluntary pledges and commitments from among these recommendations. It is to be noted that the said recommendations have no legal binding effect on Sri Lanka. Furthermore as usual, Sri Lanka also had not made any firm commitments or expressed acceptances of the same including implementation of any recommendations within a timeline. While 177 recommendations merely enjoyed the support without any commitments to implement them, 53 recommendations are in effect rejected by Sri Lanka with no commitment to follow up and implement them at any time. 1 – To ratify the Optional Protocol against Torture, Cruel and Inhuman treatment etc. and implements same upon ratification. 2 – To do more to combat all forms of discrimination with a focus on vulnerable groups. 3 – Adopt comprehensive legislation on hate speech and indictment for same. 4 – To investigate all attacks and hate speeches against members of religious minorities and prosecute the perpetrators. 5 – To ensure the independent investigation into disappearances, torture and arbitrary detention. 6 – To hold security forces and government officials accountable for human rights violations and abuses. 7 – Creation of an accountability mechanism supported by international practitioners and fulfils all commitments made on transitional justice. 8 – To fully implement commitments agreed in the UNHRC Resolution on 30/01/2015 at Geneva. 9 – To accelerate the restitution of lands confiscated by the Army. 10 – Holding accountability for criminals who target religious minorities, religious places and journalists. 1 – Ratify the International Covenant on Civil and Political Rights. 2 – Ratify the Rome Statue of 1998 which created the International Criminal Court in 2002 and the Optional Protocol to Convention Against Torture, etc. 3 – Ratify Convention on Non- applicability of Statutory Limitations to War Crimes and Crimes against humanity. 4 – Repeal of Prevention of Terrorism Act which was promised several times earlier to the United Nations and European Union. 5 – Publish a consolidated list of missing persons. 6 – Take comprehensive measures to punish perpetrators of war crimes and human rights violations by investigating and prosecuting them. 7 – A clear time line for Special Courts to investigate allegations of serious human rights violations. 8 – A clear time-line for the implementation of UNHRC 30/1 Recommendations of 2015. 9 – Setting up of an International Judicial Mechanism. 10 – Consider large scale transfer of lands seized by the Army for civilian use. 1 – Review and repeal the Prevention of Terrorism Act. 2 – Fulfil UNHRC Resolution 30/1 and UPR`s recommendations, but without any time-limit for same. 3 – To accede to Convention Against Torture. It is to be noted that these are pledges and commitments which only add to the total of pledges already made. It has to be stated that USA, Canada and another four countries recommended the principle of accountability and justice along with the implementation of 30/1 recommendations. A timeline for the implementation of all recommendations (total 230) was initiated by USA, UK and another six countries, while the recommendation of acceding to the Rome Treaty was requested by five countries, with eight countries calling on Sri Lanka to accept the jurisdiction of International Criminal Court. 1 – Accountability and justice, holding security forces and Government officials liable for alleged commission of war crimes, crimes against humanity etc. 2 – Full implementation of 30/1 UN Resolution. 3 – Independent investigations into disappearances, torture and arbitrary detention. 4 – Accelerate the restitution of lands confiscated by the Army. 5 – Create an accountability mechanism supported by international practitioners. 1 – To take comprehensive measures to punish perpetrators of war crimes and human rights. 2 – A time-line for Special Court to investigate allegations of serious human rights violations. 3 – Publish a consolidated list of missing persons. 4 – Set up an International Mechanism. Above all, Sri Lanka has expressed its rejection of the following ongoing issues by subtly staging its ‘noting’ which in fact amounts to ‘no consideration’ of same at any time. 1 – Ratification of Rome Statute and accepting International Criminal court [ICC} to investigate war crimes, genocide etc. 2 – Repeal the Prevention of Terrorism Act [PTA] which is already spilling with several earlier promises to UN, EU and the International Community. 4 – Rejection of a full-scale investigation into the disappearances of more than 65,000 people. In totality, what the aggrieved Tamils have been clamoring during the past years, staging protests by hunger strike, continuing uninterrupted sit-in protests for more than a year on the streets demanding the whereabouts of their loved ones arbitrarily arrested by the military, police, and those who surrendered to the military during the last stage of the war in 2009 has been in a stage of limbo and coma which with the passage of time would only reach its oblivion and inevitable death. Even its own UNHRC 30/1 Resolution’s recommendations appear to have been treated with scant respect and in defiance of UN, UNHRC and UN Special Rapporteurs. Viewing the past handling and lopsided treatment by Sri Lanka for its own commissions’ recommendations like the recent LLRC, CTF and Paranagama Commission it would be naive and foolhardy to expect or have faith on any Sri Lankan Government to implement any or all recommendations in good faith which are harmful and inimical to the Security Forces, Government Officials and those interfering with the progress of Buddhisisation and Sinhalisisation [of Tamils traditional and historical homeland] agenda which was set in motion since independence in 1948. Sri Lanka’s evasion of ‘acceptance’ with the words of ‘enjoying the support’ and rejection of 53 [fifty three] recommendations with the use of word ‘noting’ only confirms the net result which is ‘nil acceptance’ , at least without any written pledges or undertakings to implement any of the recommendations including the important 30/1 UNHRC recommendations. The various statements of Government Ministers confirm the position of government which is nothing but brushing aside the 30/1 UNHRC recommendations jointly sponsored by USA and Sri Lanka. UN Human Rights Council members particularly USA and Canada stressed the principle of accountability and justice with a time-line for delivery, and as expected Sri Lanka is adamantly sticking to its culture of impunity while shaking the credibility of UNHRC, UN and other countries particularly USA and Canada, the countries in the forefront for human rights. Most of the war victims are innocents, widows, orphans and landless civilians who belong to the Tamil community living in the North and East. Now they are left in the lurch searching for proper channels to obtain the long delayed justice denied so far by the International community. Added to this misery is the failure successive Sri Lankan Governments and their dismal record of non-delivery of a just and permanent political settlement which is dragging on for the last sixty years. The realistic expectation and optimism of the Tamils that the present government of ‘good governance’ will live up to its commitments are also gradually melting and disappearing day by day. The UNP–SLFP alliance of convenience is showing signs of withering away due to lack of collective responsibility and political will and it is fast becoming a ‘same old government’. The only hope of survival lies in their uniting to ward off the rising Rajapakshe clout that have already reaped the impunity for all the wrongdoings, thanks to Ranil and Maithiri, not to mention the impunity for alleged war crimes. However, even if all the efforts are pooled together, any proposal offered as a solution to the ethnic problem, will be surely aborted by the Mahinda Rajapaksa family and his party members in Parliament, Jathika Hela Urumaya Party and Maha Sanga Mahanayakas and other South chauvinists without any convincing reasons or rhyme but solely for the sake of political opportunism coupled with the unfounded fear and bogey of separation. 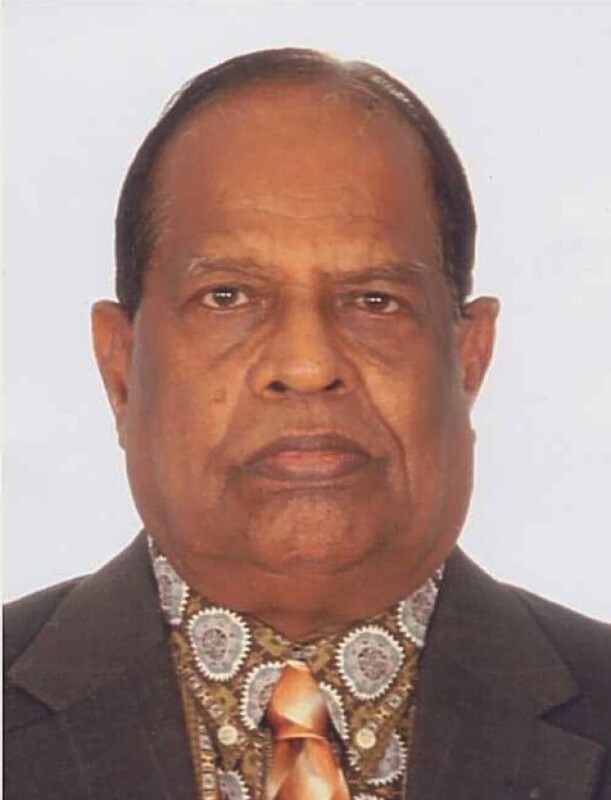 This being the foreboding and a political forgone conclusion, it is up to the Tamils to seek the help and intervention of the International Community including the United Nations to initiate an acceptable political settlement proposal and make it legally binding on Sri Lanka for implementation. Tamil National Alliance leader Sampanthan in a recent statement has indicated his intention to seek the assistance of the International Community if Sri Lanka fails to fulfil its commitments. Likewise the Northern Province Chief Minister Vigneswaran has also confirmed his stand to approach the International Community as Sri Lanka has so far failed to offer an acceptable political settlement. Whether the Sri Lankan Government will live up to its commitments is the six million dollar question. Unless and until a politician turned statesman like Nelson Mandela emerges and rules Sri Lanka, there is no hope for a trouble free and peaceful Sri Lanka in the future. Great article and analysis with the ground situation and lack of will of the international community to put an end to Sinhala Buddhist Apartheid racist madness and bring the perpetrators to accountability and Justice. It is no wonder many Apartheid nations collaborated to Sri Lankan alleged war criminal regime in committing genocide against Eelam Tamils but also deny Justice until today. International community's lack of action, inaction, Apartheid, biased and double standard policies, bullying and dictating tactics are likely to send wrong messages to many nations not to have any confidence or trust in these so called International community including the UN. No surprise that North Korea defies the International community as they could not have any trust or confidence in so called Western democracies or International Agencies as they are interested in their agenda, act to benefit them, no fairness and no honesty in their approach. This situation is created to help Western nations to sell arms to nations including Japan and South Korea that benefits Western nations but in reality there may not be any threat from North Korea. This is similar to the US propaganda in early 1970s that Vietnam was a communist nation,a global threat and a cancer to society and US bombed day and night including carpet bombing but finally got defeated as the war was not legitimate. World is a more dangerous place today than Russia was a real communist nation occupying many nations few decades ago. It is well known Western nations Apartheid, racist, colonialist mindset, bullying, and double standard policies are far more dangerous to humanity and mankind and it only help nations to take strong steps to protect their nation from Western imperialism. Despite Russian federation was dismantled long ago, Indian federation is still existing and one of the biggest curse to humanity and mankind as it continues to fail, creates mass human suffering, crimes, lawlessness, state terrorism and alleged war crimes, human rights abuses by state forces despite India boasting as a democracy! Is this the mandate of the International community to stir and create more and more human sufferings, collaborate to war crimes, human rights abuses and genocides, deny Justice to victims as races are under state oppression for several decades? God only can help innocents and victims by putting an end to greedy leaders and nations! Thanks for the article with facts, in-depth information and pin pointing events to readers. It only exposes the failure and incompetence of the so called International community to force alleged war criminal and genocidal regime to face ICC for accountability and deliver Justice. Western double standard policies while boasting democracy, freedom, human rights are responsible for rogue regimes to commit crimes against humanity and war crimes with impunity and get away from accountability. After Indra Gndhi, India failed to have a visionary leader and India is bleeding due to chauvinistic and racist policies as india regime continue to oppress the people in many states including Kashmir, Manipur, Punjab and so on. Malayalee mafias who allegedly collaborated to the Sri Lankan regime to commit genocide against Eelam Tamils are one of the worst war criminals in the 21st Century! Tamils, one of the oldest civilization and language in the planet are oppressed and suffering today as a result of Western colonialism that merged nations and handed the political power in the hands of chauvinistic, corrupt, inhuman, racist, uncivilized leaders in India and Sri Lanka. Global problems are man creased due to power greediness, racism, hatred and failure of the so called international community. Thanks to WikiLeaks and Edward Snowden for exposing dark side of politics to the world and its time to end one race ruling another immorally and unethically and continue to commit crimes against humanity due to the failure of international community. Even after Russian federation collapsed, the world is yet to be civilized as the Western nations continue to apply their Apartheid, racist, double standard policies that continues to deny human rights, freedom, independence to many races in the world. The writer very clearly exposes how Sri Lanka is fooling the United Nations UN Human rights council and the international community. Sri Lankan government so far no fully fulfilled any of the UNHRC Resolution of 30/1. It always keep on buying time and its reluctant to provide a time line for the implementation of important recommendations show its intention of no-compliance. The government of Sri Lanka is not going to implement the resolution in good faith. Sri Lanka alwsys denied justice for the oppressed Tamils,. It is high time for the UN to take drastic action like refering Sri Lanka to Security council or hold an referendum in the North and East for the people of the land to decide their future as in the UN charter.